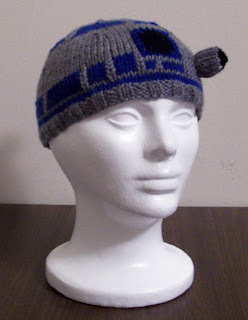 seanalyn has posted about sweet nerdtastic knitted beanies & hats before. but now they have emerged at the largest nerdfest in America! 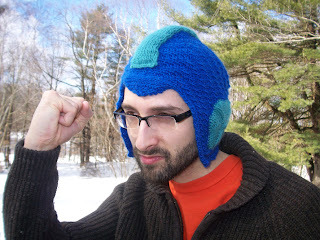 i saw a couple booths full of homemade knitted goodies made by proud domestic geeks. i cannot even fathom the amount of time and dedication it took to create these beautiful masterpieces! unfortunately, none of the designers are very technologically savvy. no websites have been launched yet. hopefully my inquires have sparked interest in starting one or putting the3 leftovers from Comic Con on etsy.com! The idea for the unicorn beanie came to be when Craftster user KrisCreates was having a playdate with her kid and a friend’s child and the little girl started admiring KrisCreates’ son’s mohawk beanie. The little girl of course wanted a beanie of her own, but she wanted hers to be a unicorn hat. So KrisCreates adapted a basic mohawk beanie pattern to include ears and a horn and voila…unicorn magic! Unfortunately she did not post up an exact pattern, but all one would need to do is modify any mohawk style beanie and youve got your own magical unicorn hat. 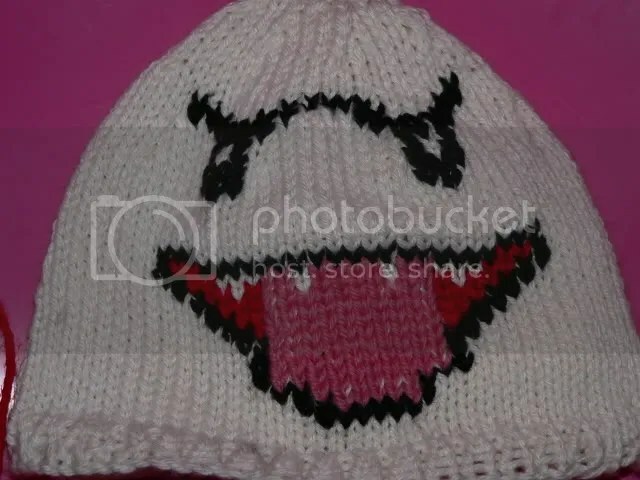 Now go knit yours quick or else the terrorists have won! Its not often I find reason to shell out $600 for a sweater, but if I had some spare change right now I would definitely drop it on this amazing hand knit (thats the key here) sweater from etsy seller elf518. 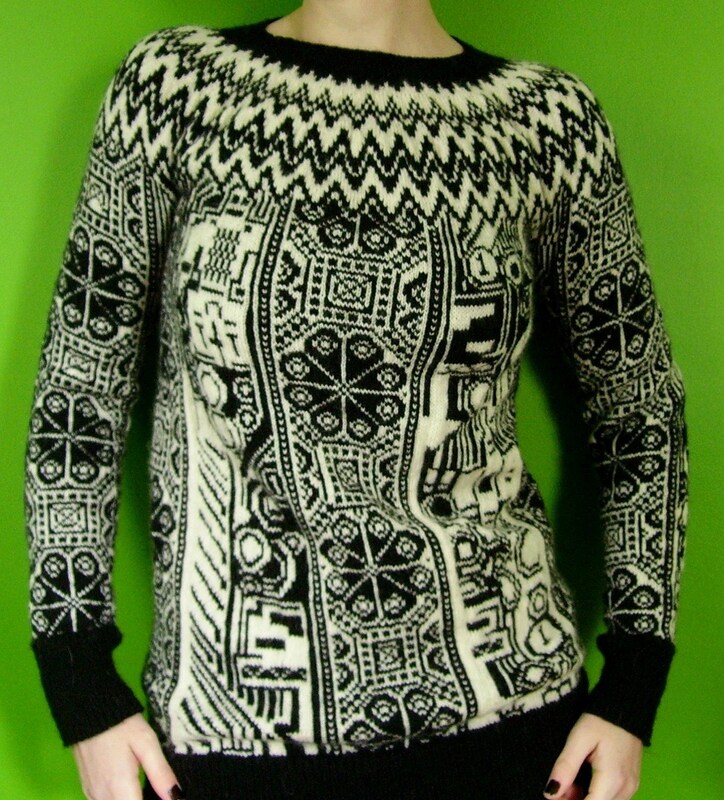 This awesome sweater is hand made tailored to your measurements, color choices and each one has a slightly unique pattern. 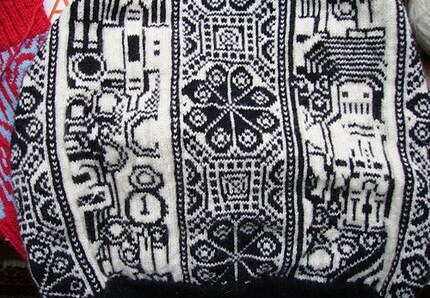 Of course that old German lace chart has been given a hip modern twist with robots and other pixely goodness. $600 may seem like a steep price but when you consider that each sweater is handmade without a machine, unique and takes 8 weeks to make…well, $600 doesnt seem all that outrageous.